Weddings are a big subject so this post is written in Part’s One and Two. A lovely traditional wedding can be a beautiful celebration set in today’s non-traditional world. Weddings may be elaborate or understated, formal or casual. Weddings come in all shapes as one size does not fit all. The ceremony can be religious, military or civil. It may be a ceremony between a man and a woman, two women or two men. While close friends and family often respond with a present, presents are not required when you receive an engagement or wedding (or birth of a baby) announcement. Nor are presents required if you decline attendance at a wedding (or other event). You need send a gift only if you actually attend the wedding or if you are fond of the bride and/or groom and unable to attend. Answer the wedding invitation within one week of receipt. The invitation to the wedding is meant only for the exact person or those persons to whom the invitation is addressed There is no more polite way to tell people that they may not bring an uninvited plus one or a child to the wedding. There may not be enough space or a large enough budget for the couple to include extra guests. 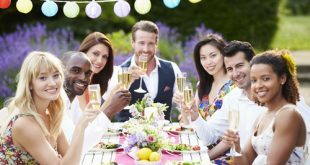 Before the wedding, an engagement party may be hosted by the bride’s parents. While the couple’s friends may give an engagement gift if they wish, it is not expected. Engagement presents are given only by the couple’s closest friends and family members. Engagement gifts are sent to the home of the bride; they are not brought to the engagement party. You may also be invited to a bridal shower given by the bride’s friends. Friends who are invited to bridal showers bring a present to the party. Since buying both a shower gift and a wedding present can be financially difficult, see if you and other friends or co-workers can together purchase one lovely wedding gift. Traditionally, bridal showers were strictly for friends of the bride. Today, bridal showers often include both male and female friends. 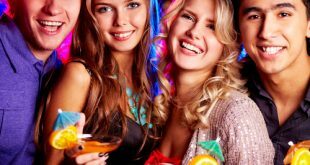 At all of these parties, your job as a guest is to be supportive, be on time, and enjoy yourself. Wedding presents are sent before the wedding. There is a myth that you have up to a year to send a wedding gift. This is incorrect. Never bring a gift with you to a wedding. It is considered a breach of good manners. The happy couple is too busy to accept, open, store and/or mail gifts back home. Gifts are brought only to bridal showers, baby showers and children’s birthday parties. Have the store send the gift to the bride’s home, or take the gift to the post office yourself. Gifts are addressed to the bride and sent to her in care of whoever issued the invitation. It is just not possible to put her address on the wedding invitation in addition to all that is already on there. If your gift is obtained through a bridal registry, then you know you have the preferred mailing address. If a group from work is attending, then it is not only proper, but good common sense, to chip in for one nice gift. You do not have to send a gift if you are not attending the wedding. A congratulatory card with a handwritten note inside is proper. If you are a family member or close friend, it is appropriate to send a gift even if you are unable to attend the ceremony. There are various ethnic groups for whom gifts of money are appropriate as a wedding present. If presented prior to the wedding, the check is made out to the bride. 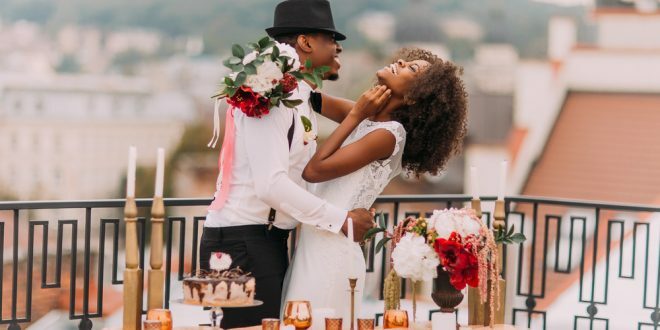 If the check is taken to the wedding, it is presented to either the bride or groom while in the receiving line and it is made out to either the bride, the groom, or both. The invitation may advise, on the lower right-hand corner, that the party is “Black tie,” This means that men wear a tuxedo and women wear either a floor length dress or a cocktail dress, fine looking evening suit or a fancy trouser outfit. Tuxedos are never worn before six o’clock in the evening. If the invitation says “Black tie optional,” The female guest will dress in the same manner as she would for a “Black tie” affair. It’s up to the male guest to decide if he will wear a tuxedo or not. A man may choose not to wear a tuxedo. If that’s the case, he’ll want to invest in one very good, well-tailored dark suit. He will wear this suit to the wedding with a white shirt and conservative tie. Traditionally, this one investment suit is black. But, etiquette does evolve. Other options are impeccably tailored suits in dark navy or charcoal. 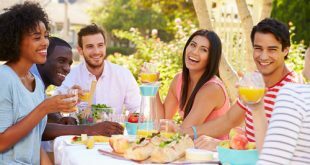 Generally, only out-of-town guests, the bridal party, local family members, and the closest of friends are invited to the rehearsal dinner. It is customary for this reception to be given by the groom’s family. Depending on both the financial and geographical circumstances, the bride’s family may host this dinner. If the couple being married is older or more established, they may host both this party and the wedding itself. The upcoming wedding ceremony is practiced by the bridal party and then the guests have a dinner, complete with traditional toasting to the couple. Part two of this post reviews the ceremony, the receiving line, dancing, toasting, and more! People do notice your behavior. Follow these simple guidelines and you will always appear well-schooled and competent while attending either business or social occasions.